When the Federal budget was released, the message from the Fed was to spend, spend and spend. Ontario, however, has a pre-budget message to cut, cut and cut. Cutting taxes and cutting funding for schools and health care. It does hurt to cut back on expenses, regardless of how you look at it. One of my cousins is getting married Jan 2, 2020 in China. Christmas and New Year are the most expensive time to travel. I spent an hour looking at the flight tickets prices, and I just couldn’t pull the trigger to spend $3K on a ticket. For a family of four, that is $12K in total on a flight alone! If we were to visit a bit earlier in December, the price tag is only $1,200. We could use points to get our tickets. But we will miss all the fun hanging out with our families… and we still have not committed yet. Watching our wallet before we make a commitment to spend is the key. Cuts are not easy, it’s painful. Cutting the education budget is hard. Cutting health care services is hard. It’s heart-wrenching seeing the names of the programs that are cut. But… what can you do? Ontario government spent over $12.5 billion on debt servicing from 2018 to 2019, but we spent only $5 billion on the Justice system. If we didn’t overspend in the past, we wouldn’t have accumulated so much debt. If we didn’t accumulate so much debt, we wouldn’t be spending $12.5 billion on debt servicing. Guess what, our budget is currently running at $12 billion deficit. Imagine if we continue to run a deficit, how would the lives of our future generation look like? How would our lives in 5 years or 10 years look like? Do we continue to borrow and grow our debt bigger, to the point that all our budget will be used for debt servicing? Cuts are painful, but what can you do? And by the way, I don’t agree to cut back corporate taxes for 1%, but that’s a topic for a different date. This is really coming from being a busy (or lazy) mom. When I buy an investment property, I call all the utility companies and the city to set up my account. On this same call, I set up pre-authorized debit to the dedicated bank account immediately. This saves me time on issuing the payment every month. And of course, it makes sure that our tenants’ gas and hydro won’t be cut off for non-payment of utilities. I like to have one dedicated credit card just for properties held in a personal name. I have another credit card dedicated for properties held in a corporation name. Yes, it is a lot of credit cards. You should have seen the size of my wallet. The purpose of having a dedicated credit card is to make sure that all your expenses are captured. The monthly statement is a back-end check for you to make sure that you capture all the expenses you spend on the properties. This leads to our next point of discussion. In accounting and tax, it is very important to reconcile your bank and credit cards on a monthly basis. If you are using Excel to track your income and expenses, using bank statements and credit card statements are a great starting point. You can download all the transactions from your online banking system into Excel. Go through all transactions, categorize each of them. It can be rental income, advertising, insurance expense, mortgage payment, property tax, condo fees, utilities, bank charges, repairs & maintenance, etc. If you’re somewhat familiar with Excel, you can simply add up everything that says “rental income”. That would give you rental income for the quarter. For your credit card expenses, you may have categories such as hot water tank rental, repairs & maintenance, etc. You go through the same exercise and categorize every single line item on the credit card statement. If you are using your credit cards for multiple properties, your category may be hot water tank rental – ABC ave, repairs & maintenance – ABC ave, etc. You add up the total of your bank expenses and total of your credit card expenses, there’s your summary of your expenses per property! If you use bookkeeping software to keep track of these income and expenses, you can download all your bank transactions and import them directly to your bookkeeping system. You go through the same exercise as I mentioned before, instead of an excel, you do your category of expenses directly in the software. The bookkeeping software keeps track of the income & expenses for you. If you are interested, stay tuned, we will be teaching some bookkeeping in Spring. If you have expenses that are not paid by the dedicated bank accounts and credit cards, you will have to add those in, as an extra. Even though we have bank and credit card statements, this is NOT SUFFICIENT if you ever go through an audit. You have to keep all your receipts, either in the paper folder that I mentioned in my previous blog post. OR in the virtual folder, you create in your computer. Cross check with your bank records in step 6 to make sure you have a copy of all your receipts. At the end of the year, make sure you also save a copy of your bank statements, property taxes and mortgage statements in this folder so you have a complete set of audit proof record. Heck, this will even help you get ready for mortgage qualification! Yes, it sounds simple, but it is a lot of work. As I often tell my clients, we must “earn” our deduction with CRA. It is to get into the momentum of doing the things right, so 5 years down the road, we still know where we spend the money and provide the evidence that CRA needs. I walked into a Rogers store this week looking for a new phone. I had been using Blackberry KeyOne for the last year and a half. The phone is still great, but it just doesn’t give me much flexibility doing videos. I searched online, I read some reviews and really don’t know what I wanted. I walked into the store hoping to make my final decision based on the feel of the actual product. It was a bit disappointing… all cell phones look exactly the same as each other. I ended up getting last year’s model, costing me 2 year of commitment in exchange. No additional charge required. With a new phone, I gotta shoot some more videos. 😉 If you have not already known, I did a few videos on land transfer tax, how to calculate tax payable on sale of property and the cost of transferring property from personal names to the corporation this past week. You can also subscribe to my channel so you will never miss a tip. I also went on Rock Star’s podcast this past week! Yay! If you commute a lot and like to learn something on the way to work, here’s the link for you. Now onto this week’s fun stuff! This year’s budget was a bit boring, compared to last couple of years. 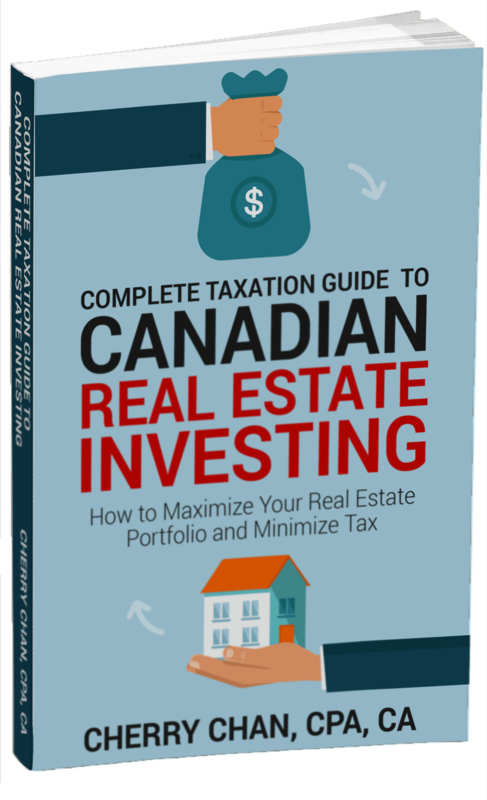 But there’re two things you need to pay attention to as a Canadian Real Estate Investor. All the new spending proposed in 2019’s budget will result in $22.8-billion spending over the next five years. Justin Trudeau’s government is projecting $19.8-billion deficit in fiscal 2019-2020 and $19.7-billion deficit the year after. Numbers are meaningless without interpretation. Justin Trudeau pledged a balanced budget by 2019 when he was running for the job in 2015. Once he’s in power, he switched his focus from balancing budget to spending. Government is like every Canadian. We earn our salary/business income. After paying the government, we’re left with what we can spend. If you spend more than you are left with, this means that you must come up with some $$$ from somewhere to cover the expense. You can go to the bank to borrow, but you have to convince them that you have the ability to pay them back, plus interest. If you have a house, you often tap into your line of credit. Most responsible Canadians would spend less in the coming months, so they can repay the debt, and the interest as quickly as possible. Our government, on the other hand, runs a deficit. That means they spend more than they earn. And they keep borrowing, because they have the power to. They’re in the same shoes as most Canadians, they have to pay interest on their debt. But interest payments are due tomorrow, the year after, annually for many years. So as the loan borrowed. Our government’s revenue comes from tax. When we’re running a deficit, we’re borrowing money. When we’re borrowing money, we’re using the tax revenue from the future to pay for today’s spending, because interest payments are due over the next number of years and the debt will be repaid in the future. In another words, our government is borrowing from our future tax revenue to fund today’s spending. This future tax revenue can be coming from our future earning ability and our kids’ future earning ability. So running a deficit also means that our kids and many more future generations are paying for the spending we’re incurring today. And now you know why all news focus on “balance” the budget. Even if Justin Trudeau is elected this fall, there’s no plan in sight to balance the budget. This means that we will continue to borrow from our future to spend today. Sometimes, I wonder how governments can be so irresponsible at spending their money, not their money, our hard-earned tax dollars. Your household income is less than $120,000. If you’re household of one (single), your income has to be below $120K to qualify. If you’re married or have a common law partner, then the combined income between the two of you must be less than $120,000. The purchase price of the property must be below $400K. You can apply to get 5% to 10% of their mortgage via a shared equity program with Canadian Mortgage and Housing Corporation. The amount you can get from CMHC also depends on whether you’re buying a new home or an old home. New home, you can get 10%. Old home, you can get 5% from CMHC. If you have 5% downpayment to purchase a $400K brand new property, in the past, you would have borrowed $380K. Under the new program, you can get $40,000 from CMHC and so your mortgage is now $340K. Less monthly payment for first time home buyer. Because you’re now qualifying for $340K mortgage, you need less income to qualify, making it easier for you to purchase a home. You will have to repay the $40K funded by CMHC. Canadians can “borrow” from their Registered Retirement Saving Plans to purchase their home. The maximum you can borrow was $25,000 and you would have to repay it over 15 years. To assist first time home buyer, the Liberals government increase the borrowing limit to $35K, effective immediately. Will these two measures boost the property prices where you and I invest? This depends on the market you are in. It will have some effect in areas that have housing prices less than $400K.